The 8th Annual New York Game Awards is headed to the SVA Theatre in New York City on January 22nd, and that means gamers will get the chance to see if their favorite video games will get to win the honor. The event is hosted by the New York Videogame Critics Circle, with categories including Best Game Music, Best Remake, and the main category, the Big Apple Award for Best Game of the Year. For the night’s entertainment, there will be live music and comedy from The Daily Show with Trevor Noah. Aside from the video game nominations for the 8th Annual New York Game Awards, there will be other awards like the Knickerbocker Award for Best Games Journalism and the Andrew Yoon Legend Award. The former will be presented by Chris Suellentrop, the former New York Times video game critic and current senior editor for Politico Magazine. The latter award will be given to Jade Raymond, co-creator of the Assassin’s Creed franchise and founder of EA Motive and Ubisoft Toronto studios. Jeremy Young for his Donkey Kong forum inquiry which wiped out Billy Mitchell’s long standing high scores. Circle members are not eligible for the award, and they can’t vote on a staff belonging to their respective outlets. The award is open to all who have participated in video game journalism during the awards year. The work can be a feature, editorial, criticism, news report, review, preview, etc. Tickets for the 8th Annual New York Game Awards are now available and cost $22 each. Those who attend will receive four free games, watch trailer premiers and attend the after party. Earnings from ticket sales will go back into the non-profit organization which helps mentoring, scholarships and workshops in New York City. 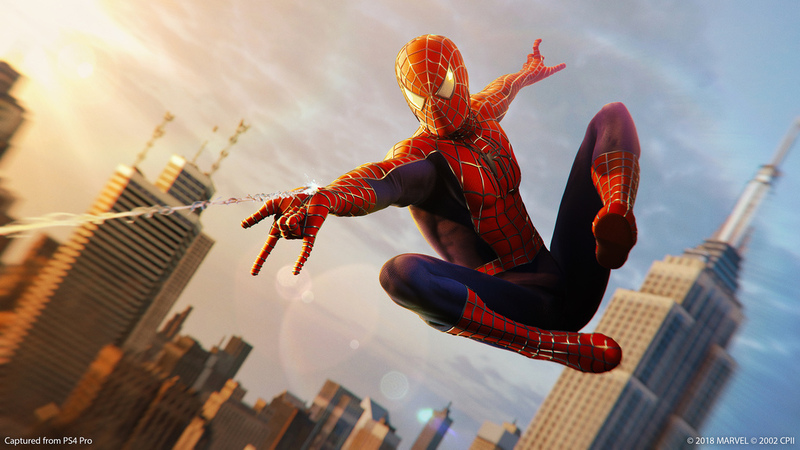 The post God of War, Marvel’s Spider-Man and Red Dead Redemption 2 nominated for 8th Annual New York Game Awards appeared first on Nerd Reactor.